Black & White Village Trail01568 616460workOutdoor Pursuits CentreThe Black & White Village Trail – ‘unrivalled in England’. This is how Alec Clifton-Taylor described the half timbered ‘black and white’ buildings of north-west Herefordshire. Come and see if he was right! 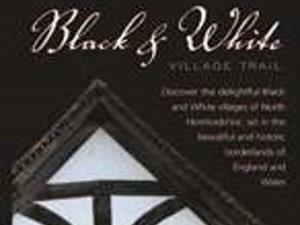 Visit the contact us page to download a copy of the Black and White Village Trail leaflet.